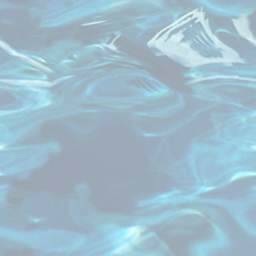 A fan-site dedicated to dolphins! 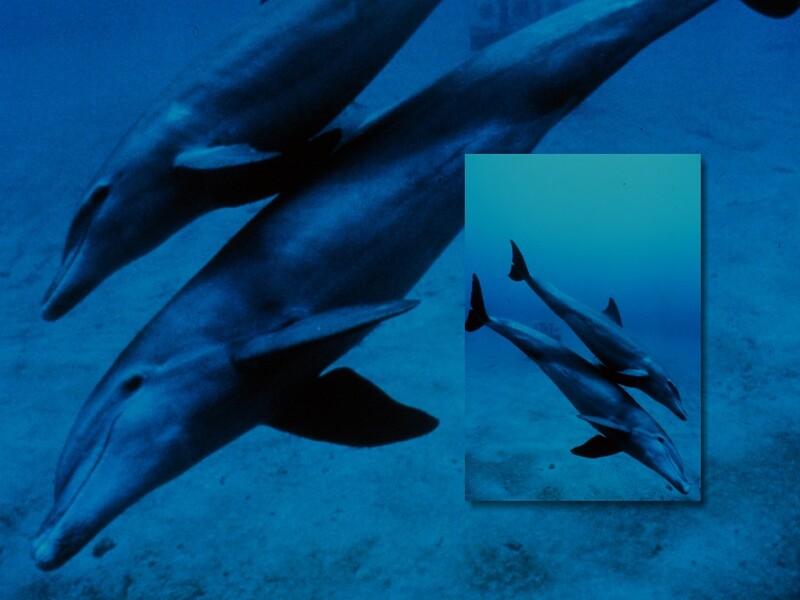 Home of dolphin pictures, fun wallpaper, and interesting facts about our flippered dolphin friends! See the last page for a dolphin surprise! Two dolphins enjoy their underwater world. Image Source: Original computer graphic imaging by Alan Cole. Used with permission. 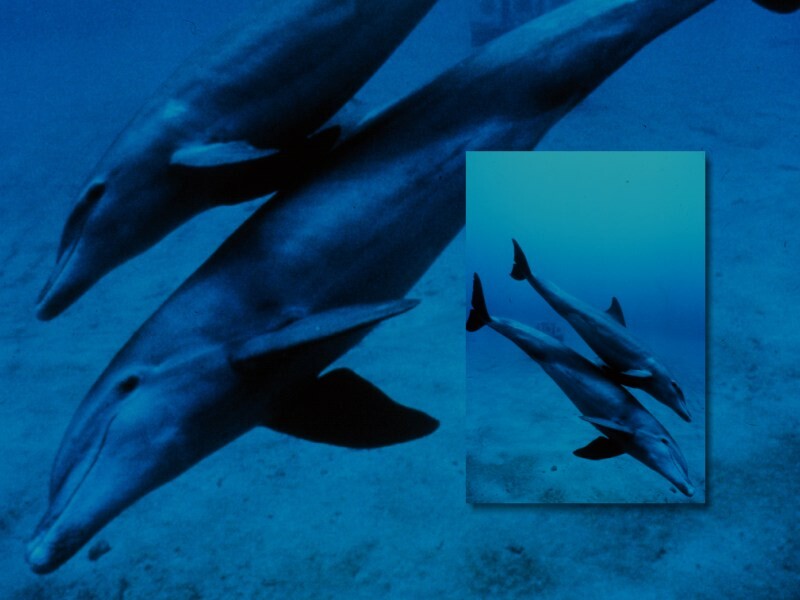 These dolphins can be on your desktop! 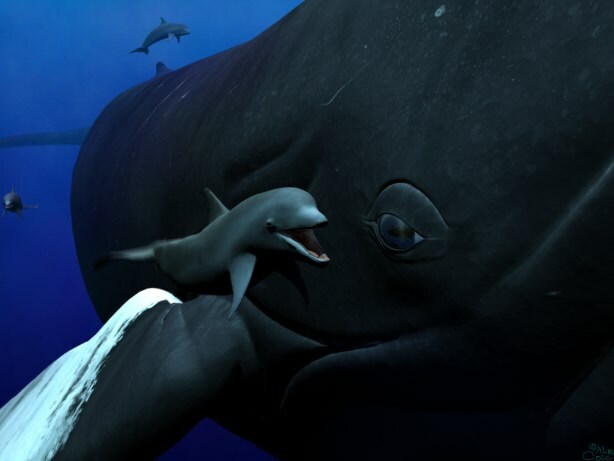 A dolphin swims alongside a humpback whale to say "hello"! This talkative dolphin can be on your desktop! A mother dolphin and her baby. Image Source: M. Herko, OAR/National Undersea Research Program (NURP). Mother dolphin and her baby can be on your desktop! More dolphin pictures on the next page! 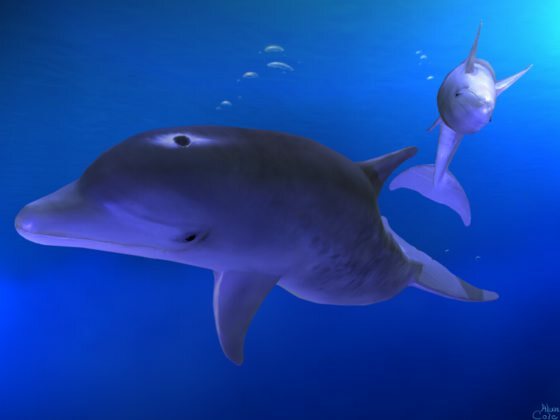 This Bottlenose Dolphin website is a great teacher's resource! The Dolphin Research Center is "for marine mammals and the environment we share." WDCS: The Whale and Dolphin Conservation Society. EarthTrust.org has a very informative page about dolphins! Also, check out their Project Delphis page. 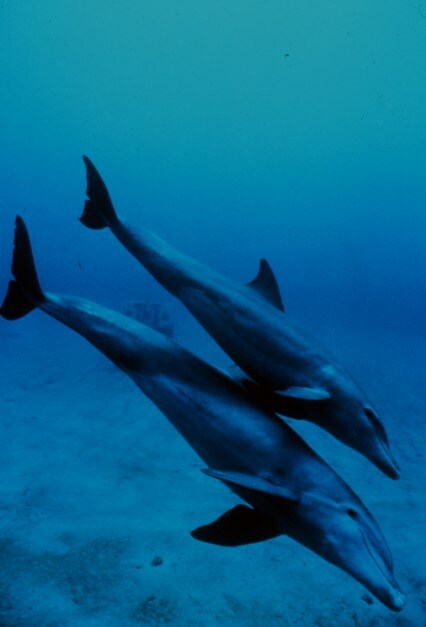 Visit National Geographic's website about dolphins. Great learning resource for kids! PBS has an interesting dolphin website that's worth a visit. 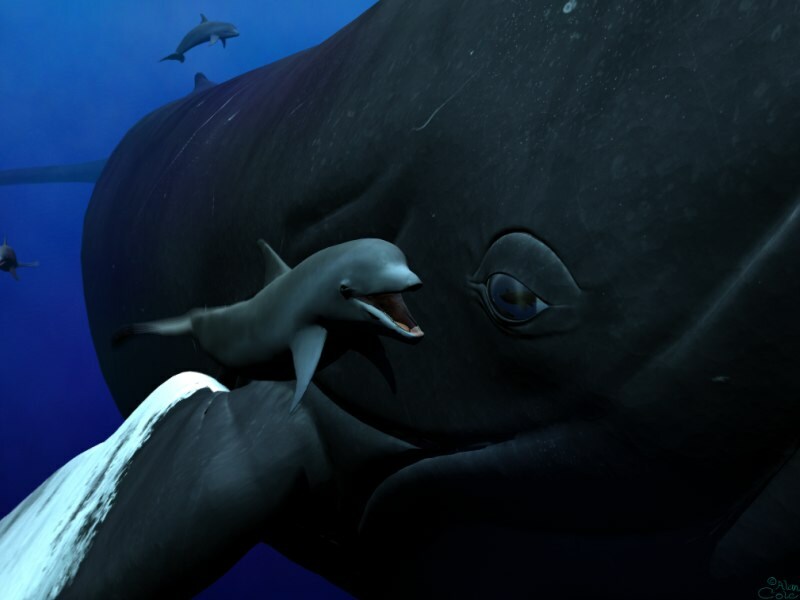 The Oceanic Project: Caring for Whales, Dolphins, & Oceans. David's Whale and Dolphin Watch website has photos, sounds, and more! The National Parks Conservation Association's webpage about dolphins, has some statistics. Wikipedia has an informative article about dolphins. EPSON "Our Dolphin" Programme: to "help raise public awareness towards the Chinese White Dolphins." Dolphin Cove, Key Largo, Florida - structured and natural dolphin encounters. The Dolphin Planet has pictures and information about dolphins. Dolphin - Art: absolutely beautiful dolphin art by Martin Allen! Wild Dolphin Adventures - a wild dolphin watching ecology tour and swimming snorkeling trip to Key West Florida's beautiful shallow water back country and Gulf of Mexico coral reefs. Wild Side Specialty Tours, Oahu, Hawaii's Wildest Whale, Dolphin and Turtle Encounters, 180° from Ordinary! Irish Dolphins... Charting interactions between dolphins and people! The Orca Homepage has orca news, and links to other great websites! Facts and pictures from the TV series, Flipper. This page from the IMDB has casting and other information about the series. Final resting place of Mitzi, the dolphin that played Flipper. Dolphin Pictures & Facts has no affiliation with the third party links at this website.